Plate Dimensions: 24" x 24"
If you're venting your Type B gas appliance through the roof, having the right flashing is absolutely essential. 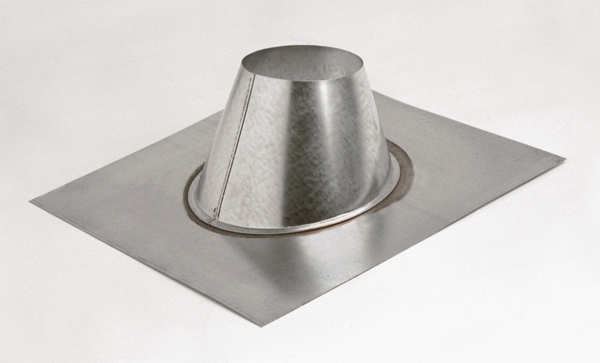 Use this Standard Type B Chimney Flashing to keep your twelve-inch Metal-Fab Type B Round Chimney Pipe system free of weather damage. Fits roofs with 2/12 to 5/12 pitches. *Please Note: Flashing requires a separately purchased storm collar. What is the size of the hole? Everything was exactly how it was supposed to be and arrived a week earlier then expected. I would definitely do business here again and will recommend anyone needing fireplace parts to this website.